Many would consider titles like Think and Grow Rich, The Magic of Thinking Big, Thinking for a Change, The Power of Positive Thinking and As a Man Thinketh to be books of great importance in the personal development and leadership field. What do they have in common? They all have thinking or thought as their primary subject of discourse! So, in short, the power of thought is a key concept as it pertains to personal success. Maxwell Maltz, author of Psycho-Cybernetics would assert that you can never achieve what is not congruent with the image you hold of yourself. There is no doubt that your subconscious mind plays a tremendous part in your daily decision making (some even suggest it accounts for more than 90%), but what you do with your conscious mind and the input you choose is going to have an effect on your subconscious mind too. So, let’s take a closer look at the aforementioned list of books, all of which offer significant value in developing constructive thinking in your daily life. Interesting that this book should be titled Think and Grow Rich and not Work Hard and Grow Rich, no? It’s important to remember that while work and action are key elements to success, how you manage and develop you thinking is a key factor that determines the type of results you can expect from the effort you exert. Napoleon Hill was commissioned by Andrew Carnegie to study successful people, and the book he was said to have written out of his multi-decade analysis is often cited as Think and Grow Rich. In reality, it seems more likely that it was his first book, The Law of Success, but since Henry Ford didn’t want the ideas within that book to spread, he bought up all the copies. 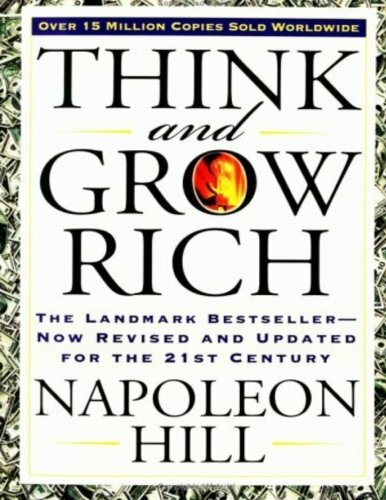 In either case, Think and Grow Rich is still a great book, and, not surprisingly, it is a little more digestible than The Law of Success (due to length and outdated language). As the title of the book would suggest, learning to harness thought in a positive direction, bombarding your mind with visualization and images, words and suggestions, acquiring a burning desire for the achievement of your goals and dreams, and then taking action is paramount to attracting wealth into your life. Of the many success, self-development and leadership books I’ve read, I would propose that this one advocates self-inventory and concrete plans of daily action more heavily than the others. By the end of the first few chapters, it can feel as though you already have a laundry list of daily habits to implement. Again, this is a great book with immense value, but you have to be the one to take action on the suggestions if you want to see the types of results talked about within. 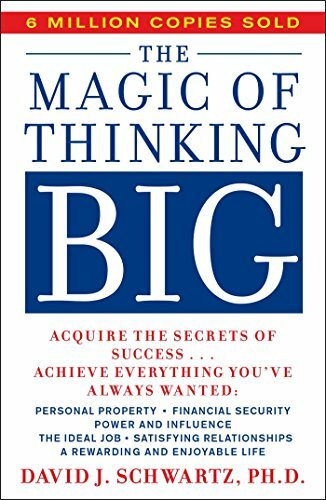 I’ve already talked about this book at some length, but The Magic of Thinking Big is considered by many to be an important foundational book on personal development and success. The idea of curing “excusitis” in chapter two continues to get referenced and quoted by many of today’s leaders. Norman Vincent Peale, John C. Maxwell and even Crystal Cathedral Ministries founder and author Robert H. Schuller all seem to agree that possibility thinking is of great value, and undoubtedly many other authors would concur. This concept is also covered by David J. Schwartz in this book. Otherwise, The Magic of Thinking Big is a fairly straightforward and common sense book (although, for all intents and purposes, common sense isn’t all that common). If you’re looking to overcome common excuses for underachieving, if you’re looking to take more action in your life, and if you’re looking to begin your personal development journey, then this book will give you a solid footing to stand on. 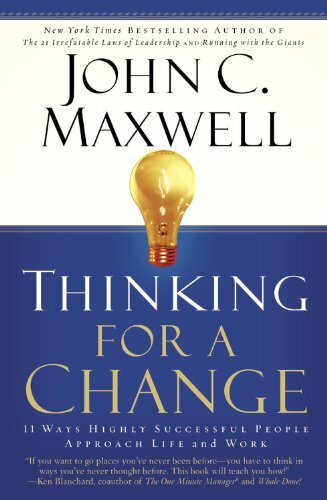 Thinking for a Change is my favorite book by world renowned author and leadership expert, John C. Maxwell. I have not read his entire library, admittedly, but so far this one has had the greatest impact on me. This book effectively addresses how changing your thoughts can change your life. At 257 pages, Thinking for a Change may seem like a bit of an undertaking, but the ideas within add so much value that you may complete it in just a few sittings. So, what is the book about? Maxwell discusses a variety of different styles of thinking and how they benefit your life. For example, in part II, he talks about the joys of creative thinking. Creative thinkers explore various options, embrace vague or ambiguous concepts, go against the grain, have the ability to connect seemingly disparate things and don’t have an inflated fear of failure. Some of the benefits of creative thinking include generating a multitude of ideas, drawing people to you and your ideas and learning more about the world in which we live. Some of the other styles of thinking Maxwell covers include big-picture thinking, focused thinking, strategic thinking, reflective thinking, bottom-line thinking and others. Maxwell suggests that some of the highest paid individuals in this world are paid to think, and if that doesn’t pique your interest, I don’t know what will. Norman Vincent Peale books are often quite straightforward and commonsensical. This one, perhaps out of all the others I’ve read, is deeper and more detailed. The Power of Positive Thinking presents simple wisdom, instructing readers how to overcome worry and anxiety, how to be more healthy and whole, how to cultivate new thoughts, how to have rich interpersonal relationships, how to develop a friendship with God, among other topics. Peale gently guides you through the steps to becoming a positive person who draws in his or desires, as opposed to an individual who is negative and repels their desires from coming into their life. 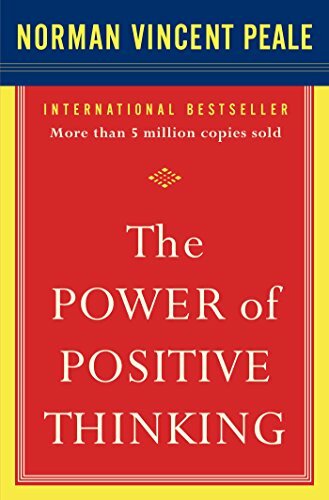 The core message of The Power of Positive Thinking isn’t necessarily complicated, but at 224 pages in small print, it isn’t light reading either. It’s probably not the best place to start in personal development, but it is a recommended read for those who are already a few books in. I first learned about this book because of Audible. I had the pleasure of listening to it in audio form before ever reading it, and I instantly fell in love with it. This quick read addresses the effect that thought has on various aspects of life, including health, circumstances and achievement. Many leaders would still consider this little volume a work of great significance. 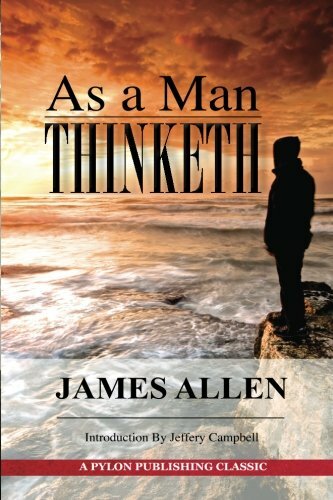 James Allen would assert that the outward manifestations we see in our lives are due in no small part to our thought life. You may not reap the sum total of your thoughts at any given time, but your thoughts play a vital role in connection with your circumstances and development. In short, the shape of your outer world is a reflection of your inner world. Allen urges us to consider our thought life and take responsibility for who we are, what we are and where we are. The implication, then, is that we have control over our thoughts. We can choose what we think, and what we think can and will play an important role in the actions we take and in tapping into our personal potential. Now that you know how important your thought life is, it’s time to take action. Will you delve deeper to understand how your thoughts can change your life? Nothing is achieved overnight, and it will take time, but regular, consistent action will lead to great personal growth and a better understanding of how to get your thoughts and your self-talk on your side. Great article. I am reading The magic of thinking big and i am enjoying it. Thank you. The Magic of Thinking Big is a great read. I really like what he says about possibility thinking.